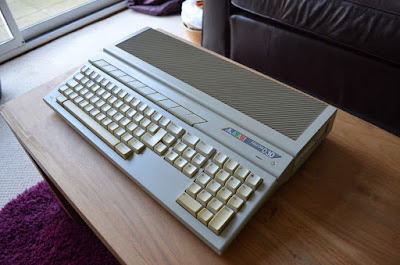 If you are interested in a modded, imaginatively maintained Atari Falcon computer, this Atari Falcon 030 eBay auction should be of interest. The machine comes with 4MB of RAM, a 2GB flash HDD, the FPU co-processor, a new PSU, and a working disk drive. It seems to be working fine, and, as all Falcon units, is quite a rarity.